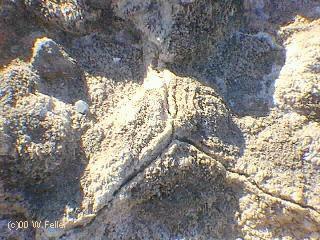 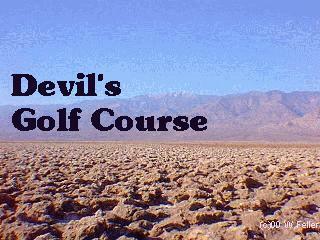 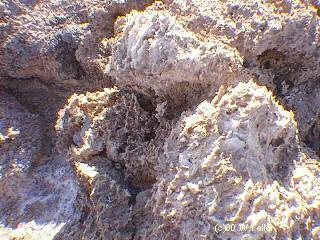 The knarled terrain of an ancient evaporated lake contains crystals of almost pure table salt. 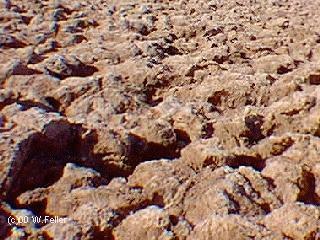 The craggy lake bottom is complex and intricate with crystals in various stages of development. 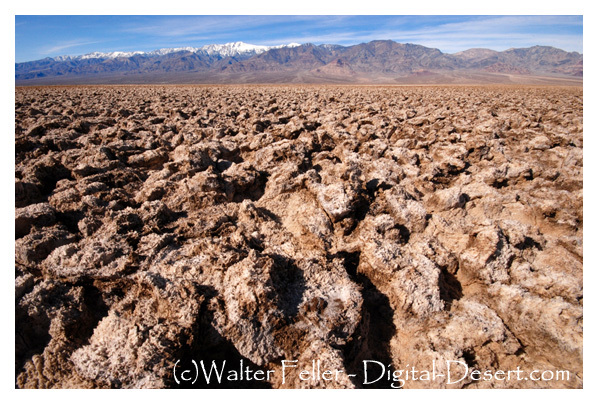 Deposited by ancient salt lakes and shaped by winds and rain, the crystals are forever changing. 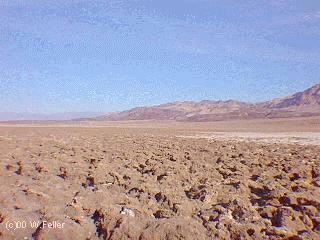 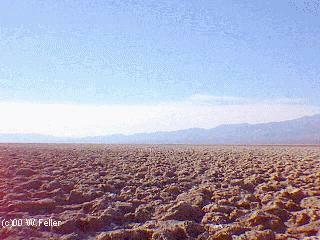 The Death Valley saltpan is one of the largest saltpans in North America. 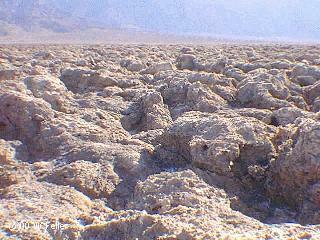 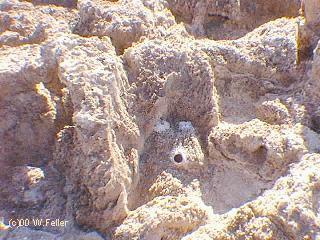 Salt continues to be deposited by recurring floods that occasionally submerge the lowest parts of the valley floor.